We offer Non Woven Fabric Bag. Organics Rexine Metrial Bag with Pockets for Purchase of Vegetables, Fruits, Grocery. Veggie Bag Size.LxBxH (cm) - 40x32x10. Weight - 180 gms.Convenient reusable lite rexine printed bags to use when selecting and carrying your fresh fruit and veggies. We are offering imported polyproplene bags with two wheels.It will suitable for carrying heavy items. 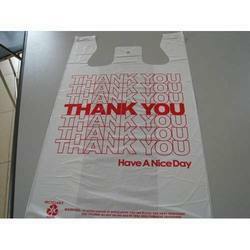 We supply plastic carry bags and plastic shopping bags made from best virgin quality raw material. Obtainable in attractive colors and patterns they are manufactured in a range of sizes. 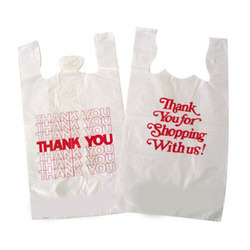 Besides our plastic carry bags and shopping bags are well known for their strength and durability and can be customized as per the client’s specifications in respect of size.